I don't usually have to think about all those odd imperial measurements, but just recently my husband started some commissioning work in the USA, and everything 'over there' is still in old money! Nothing is neat and tidy with the old measures: and even worse, US measures are almost always different to elsewhere on the planet. For example, a US gallon (3.8 litres) is not the same as the gallon that was used in the rest of the world (4.54 litres). 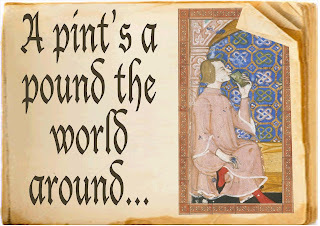 Additionally, there is a US saying, "A pint's a pound the world around". Except it isn't. Only in America is a pint (473 ml) almost the same as a pound (0.454 kilograms), despite one being volume and one being weight. As you can see, it is actually 19 ml/g out depending on which end of the silly stick you are looking from. 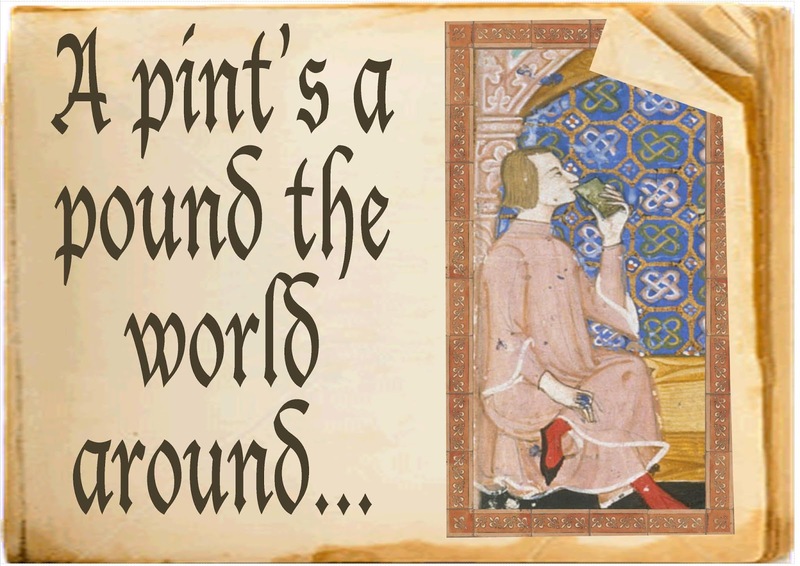 While a pound in the rest of the world was the same, rounded usually to 0.454 kilograms, a pint was 600 ml. Nightmare. NOTHING is the same. The craziest thing is that the US and Burma are the only two non-metric nations on the planet (what awesome company to be in!). The rest of us have to go to the madness of working in these antiquated measurements for 4.4% of the global population. I think you need to call 'Time' on these measures, USA, and join the rest of us over here on the base ten scale. So much better when I don't have to keep interrupting to get the gist of the tale!